"We are located in the heart of Barcelona city center, in the Gothic Quarter only a 100 meters of the most popular avenue in the city, Las Ramblas." Rent a bike and see Vienna.more than 500 miles of safe and gentle bike paths.You recieve a specially marked Vienna map and a tour pamphlet with complete self-guided tour suggestions. Also guided city bike tours,3 hours. The Sprachenatelier is an international center for language learning, cultural exchange and art exhibition. As well as German courses we offer courses in over 30 other languages and we organize international film festivals, concerts, exhibitions, and workshops. The Youthotel Linz is a new opened youth and economy hotel in the centre of Linz. Hotelservice at a hostelprice is our slogan. Linz is the perfect stopover on your way to Munich, Salzburg, Vienna or Prag. In Linz you can cycle along the Danube, visit the famous museums (e.g. Ars Electronica Centre) or visit the concentration camp Mauthausen close to Linz. 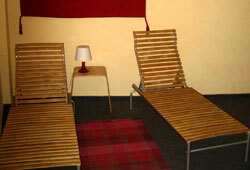 All our rooms are equipped with bath/shower, toilet and TV. We have an inner courtyard and an own hotelpark. Breakfast is for free in the Youthotel Linz. the hostel is located in the centre of the town in the jewish quarter which has been enlisted as UNESCO world heritage site.